Handcrafted metal clay jewelry featuring fine silver, copper, bronze. Thank you for visiting! Please click the menu above to see my jewelry. More photos will be added soon! This entry was posted in earrings, fine silver pendants, lampworked glass bead jewelry and tagged earrings, fashion accessories, fine silver, handcrafted jewelry, lampworked glass bead jewelry, pendants. Bookmark the permalink. 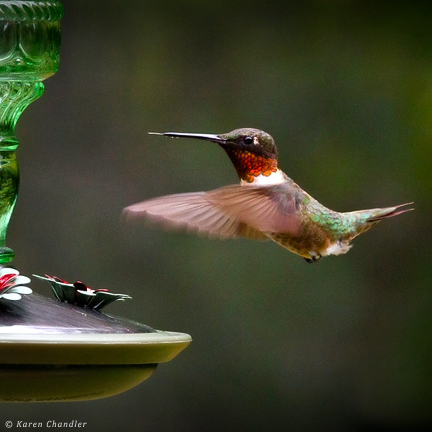 ©2013-2015 Karen Chandler, includes the jewelry designs, photos, and blog text. All rights reserved. Karen's jewelry creations reflect her love of handcrafted texture and organic form. Working in her Powder Springs, Georgia home studio, she carefully sculpts silver, copper, and bronze metal clays. The pieces are then kiln fired to produce pendants and other jewelry components. From the initial design sketch, to the final polish, Karen works with joyful anticipation of her customer's satisfaction and delight. Prices are available for jewelry shown in the gallery and orders for custom pieces are welcome! Click the image below to contact Karen.